"Minty Filigree", soldered, filigreed. 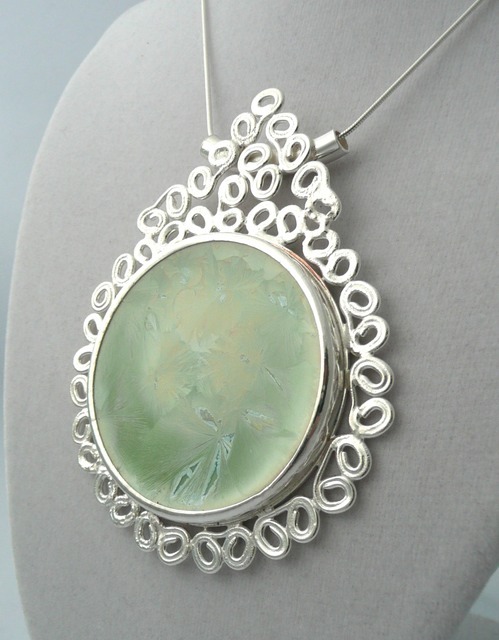 Sterling silver, porcelain cabochon (by Alexis Templeton), 4" x 3", 20" chain, 2012. Sold.